Moving house is stressful, you have to organise removalists, update your details and ensure you’ve got power ready the moment you walk through the doors of your new home. Despite what may be your best efforts to avoid your energy company most of the time, you will have to get in contact when you move properties. Fortunately, electricity and gas retailers have generally made this a simple and hassle-free process. Here’s how to get power and gas set up at your new home. All you need to do to organise an electricity connection is call your electricity retailer or visit its website. Your retailer will need your address and connection date but can take care of the rest from there. Most major electricity retailers can set up your connection within just three business days. See below if you need your connection sooner. If the house is already connected and you just need to transfer your electricity account to the premise, this can usually be done in one day. If you’re sticking with the same electricity retailer, your contract will typically carry over to your new premise, though you may also be offered a new, perhaps better, deal. If you live in Qld, NSW or Vic, check whether you’re moving to another distribution network. If you are, then your current electricity contract cannot be carried over with you when you move. When you move house, the electricity distributor may charge you a connection and/or disconnection fee ranging between $10 and $100. As this is a distribution charge, the size of the fee will depend on location, not your choice of electricity retailer. There are usually no fees if the house is already connected and you just need to transfer your account. Also keep in mind that if you have an existing electricity plan and you switch to another retailer, you may incur an early exit fee. Fortunately, most electricity plans these days don’t include exit fees. The process to connect natural gas to a new property is similar to electricity. Simply call or visit the website of your natural gas retailer (who may be the same as your electricity retailer), give them the new address as well as the connection date and they can handle the rest. Connecting gas is a little trickier however, and retailers will often require 3-5 days to set up a new connection – longer if you need a new meter. Of course, you need to check whether you even have access to natural gas at the new property to begin with. 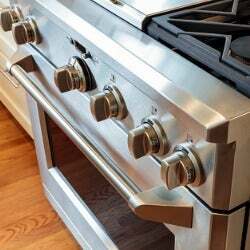 If the house is on a mains gas network but doesn’t already have the necessary piping to setup a connection, then weigh up the pros and cons before spending possibly thousands of dollars to connect to gas. Natural gas connection fees are between $10 and $50, possibly more if any work needs to be done to the residency’s gas infrastructure. Once again, this is a distributor charge meaning you can’t avoid it by switching gas retailers. Certain retailer contracts may also include an exit fee. What if I want to switch energy retailers when I move? Moving house is a great excuse to buy new furniture. It’s also the perfect opportunity to switch electricity or gas providers. Switching retailers when moving is very straightforward, simply contact your current retailer and inform them you’d like to close your account on a particular date. You will continue to receive electricity and/or gas services until the designated date. If you’re moving from a rental property, you don’t need to disconnect the property. Usually the retailer will automatically transfer the property back to the energy account of the real estate or landlord. After that, call up the new retailer with a valid ID at the ready and sign the new property up, commencing from the date you move in. If you’re lucky, it may already be connected and there will be no additional fees. Make sure you’ve done your research before calling the new retailer so you know which tariff and plan best matches your needs. Does it matter I am renting? The short answer is no. If you’re moving into a rental property, the property will probably already be connected to the electricity grid or mains gas network. All you need to do is call up your retailer to setup an account. You may need to get the permission of the landlord or real estate however if the property is not yet connected or the property requires a meter or infrastructure upgrade. I urgently need a connection. What do I do? If you’re moving today or tomorrow, but have forgotten to organise your electricity or gas connection, then immediately call your provider and ask for an urgent connection. Major retailers will have a 13-hundred number you can contact to book a connection as soon as possible. Urgent connections usually incur additional fees, so try not leave your energy connections to the last minute. 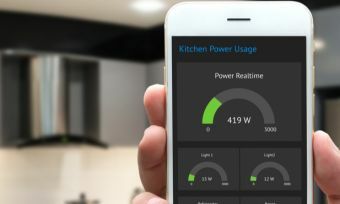 If you’ve given your energy company sufficient time organise a connection, then you can expect the lights to work the moment you walk through the door. Some retailers like EnergyAustralia will even compensate you if they’ve failed to connect your property in the time promised. If you are moving into a rental property, then the house will most likely already be connected. All you need to do is transfer or setup an energy account. Here is a handy little checklist to make sure you’ve got everything covered before you move. 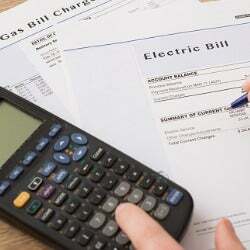 Compare energy providers to make sure your energy company is giving you the best deal. If you’re staying with the same retailer, call to inform them you’re moving properties. Ask if the new property has a connection or whether you need to pay for a new connection. If you’re changing retailer, contact your current provider and organise a date to close your account. Then call your new retailer and ask to setup an account, commencing from the date of you move in. Again ask if a new electricity connection is needed. Consider whether you need to disconnect the property. You should disconnect the property to avoid supply charges if you’re only moving out temporarily or you’re the homeowner and don’t intend anyone to use the property for some time. If you have any concerns or queries about moving house, then immediately contact your electricity or gas company – they’re often friendlier and more helpful than they’re given credit for. If you’d like to know more about switching energy companies, then check out our article on debunking some of the biggest energy switching myths. To start comparing energy providers, visit our customer satisfaction ratings. If you’re after the cheapest deal on electricity, be sure to try out our price comparison tool using the link below.